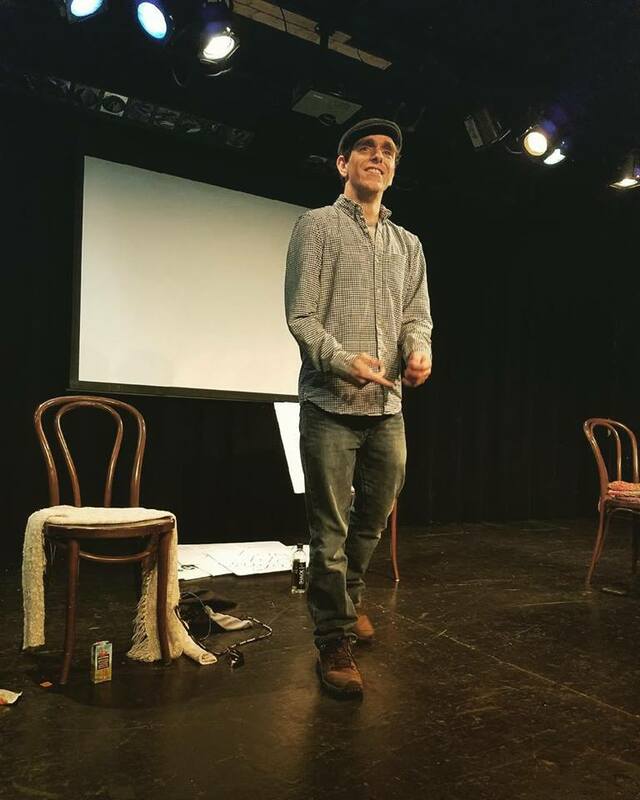 Patric Ciervo, a sketch comedy artist in NYC, has turned his diabetes and other conditions into a rich source of positive humor for others. Join us today for a conversation with the funny and talented Patric Ciervo. We’ll be talking about his past work, his upcoming show Walking Contradiction, and his work with Diabetes Training Camp. Scott Johnson: Hey, Happy New Year. Welcome to another episode of Live with Scott. Thanks so much for tuning in. My name is Scott Johnson. I’ve been living with diabetes since I was five years old and the diabetes social media space, that’s you, has been a big part of my well-being for a long time. In other words, you are as important to me as a fresh start for the new year. Thanks for helping me along. As your host today, I am thrilled to connect you with Patric Ciervo. Scott Johnson: Patric is a really fun guy and I can’t wait for you to meet him. First, last week’s winners. Congratulations to Renee Hims and Karen Grafio who just won some fun mySugr swag. We’ll send you a message on Facebook after the show to coordinate details. 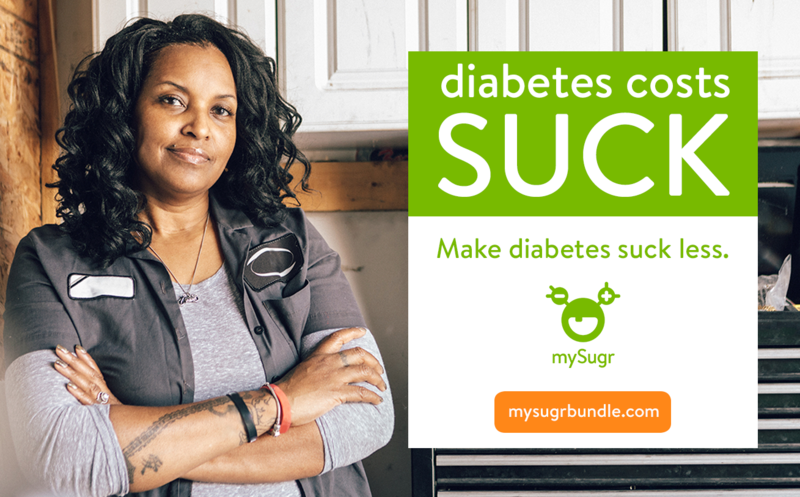 Stick with us to learn how you can also win some free mySugr swag too. While we get going, please share a quick hello in the comments and let me know where you’re watching from. I’d love to say hello. Scott Johnson: If we cover anything that resonates with you, please show us some love. If you know anyone who might find this helpful, please share this with them. I’d really appreciate that. Today’s episode is sponsored by the mySugr Bundle. Get unlimited strips, automatic supply refills, personalized support, and more, all for just $49 every month. Learn more at mySugr.com/facebooklive. Now, more on this week’s guest. 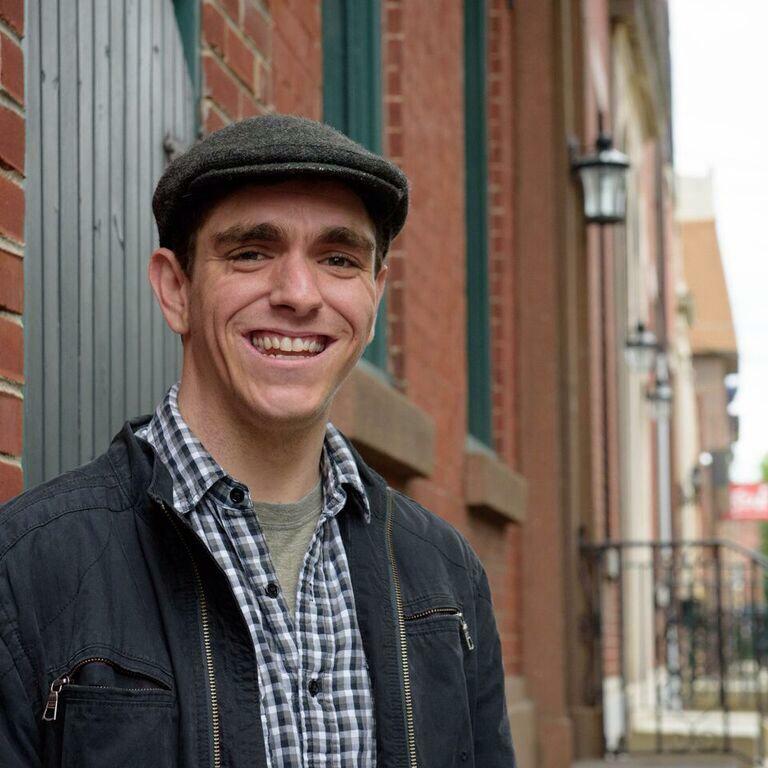 Scott Johnson: Patric Ciervo is a sketch comedy writer and performer living in New York City. 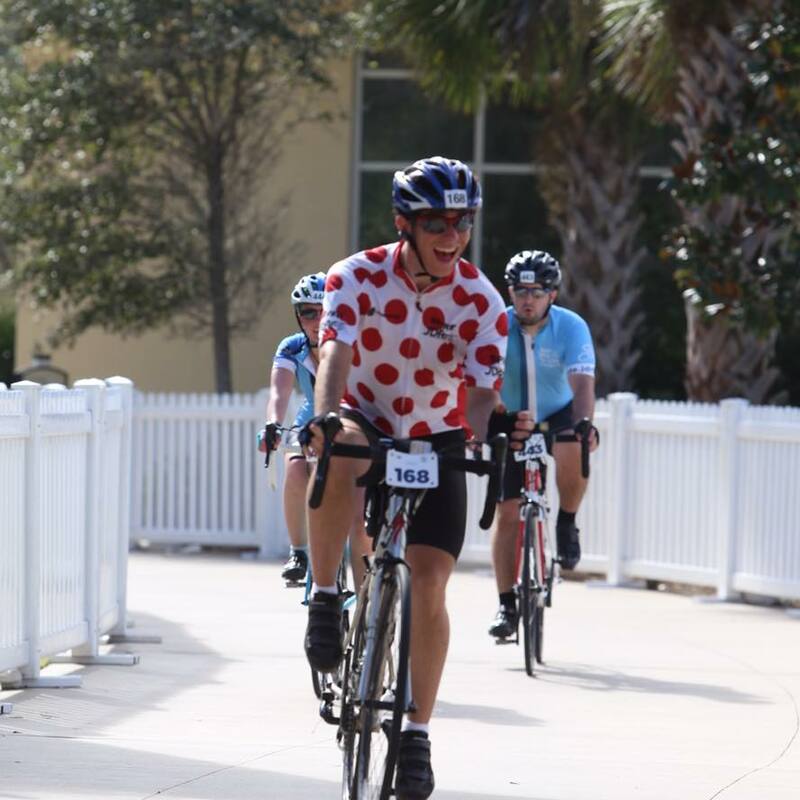 He’s been living with type one diabetes for five years, he’s participated in multiple JDRF ride to cure events, and is a five-time alumnus of diabetes training camp. We’ve talked about them before and we’ll post a link back to those episodes in the comments here. In the interview, you’ll hear me ask Patric about the blood sugar challenge videos he’s done and I thought it only right to give you a sneak peek before diving in. Patric Ciervo: Hello, my name is Patric Ciervo. Marcus Grimm: And I’m Marcus Grimm and we’re both type one diabetics. Patric Ciervo: About a year ago, I thought to myself, “Marcus likes attention,” so I invited him out to compete against me in the three-part challenge to see which one of us could have the better blood sugar. Marcus Grimm: Now, if you remember that video, I was the one who won and for Patric’s punishment, we got to see him have a shot of hot sauce wearing a dress. Scott Johnson: I had so much fun watching Patric and Marcus in those videos. I hope you’ll check them out, too. Again, we’ll post the links in the description and the comments as well. Alright, are you ready to meet Patric? Let’s do it. Just a quick warning. There are a few, short hiccups in the interview video, but please hang with us. I had a kind of sketchy internet connection when Patric and I connected, but it’s not too bad. Just bear with us. Here we go with the interview. Scott Johnson: Hi, Patric. It’s great to connect with you. Thanks so much for joining us. Patric Ciervo: Hey, yeah. Thanks for having me. Scott Johnson: Can you tell us, for those that don’t know much about your story, your connection to diabetes? Patric Ciervo: I was diagnosed with type one five years ago, November 7th was my five year diabetes anniversary. The week prior, I was in Ireland with my family and I got up … I was on the plane and got up to pee like 10 times and everything like that. That’s when my mom, well everyone, but mostly my mom was noticing something wasn’t right, that I was a lot skinnier than I was, and just drinking water nonstop. I came back from Ireland and then we had my sister’s birthday, a surprise party two days later, and her friends had told her that I looked a lot skinnier so that made her worried. Patric Ciervo: A few days later, she made me go to the doctors. Within minutes, he told the nurse to tell all my other patients that I’m going to be a minute. He pretty much knew before he tested my blood sugar that it was type one. I was diagnosed there and spent five days in the hospital and the rest is history. Scott Johnson: The rest is history. That’s right. Scott Johnson: Wow. Now, you also live with cerebral palsy, right? I don’t know much about that. Can you tell us a little bit about what that is like and how the two kind cross? 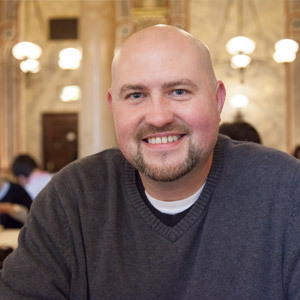 Patric Ciervo: You know, it’s basically … CP affects people differently. It’s … Part of your brain doesn’t communicate with your muscles correctly and your muscles become spastic. So like for me, it’s mostly my right side that has the effect. It’s not as bad as much. I usually just notice in pictures that my right arm’s a little off, while others are in wheelchairs. CP has never really been a big, defining thing for me. Patric Ciervo: Diabetes has, so when it comes to the two, I felt like I kind of … You know, once I was diagnosed with type one, it’s like I left this other health issue for another one kind like cheating type thing. It really doesn’t affect me day to day. I don’t know too much technically about it other than that on how it affects me. Patric Ciervo: No, there’s nothing. It’s not like something’s going to run up my blood sugar or anything like that. It’s just another annoyance. Scott Johnson: Mm-hmm (affirmative) yeah. Add it to the list of annoyances with diabetes, right? Scott Johnson: Great. Well, thank you for filling me in on that. Scott Johnson: Let’s talk a little bit about your upcoming one-man show, Walking Contradiction. It sounds so interesting and I’d love to hear more about it. Patric Ciervo: Walking Contradiction, basically, it’s kind of basically what I described just now. It’s set up that … There are three main subjects that I talk about how my life has contradicted. One is with … I’m usually a quiet, unassuming person, while I have two very loud, in your face sisters and everything. We talk about the contradictions of how I’ve been drawn to theater, and comedy, and performing, and they would have a panic attack if they had to get up on stage. Patric Ciervo: The second one is the CP. I look at it from two angles of two different stories about how in college, because of the CP, I was in the disabled hallway, but I was walking around fine. Other people were looking at me like, “What in the hell is he doing here?” I was fortunate enough about 10 years ago because of the CP to try out for the Paralympics, which is the Olympics for disabled people and everything. They traveled to like … They walk in the Olympics with the Olympic athletes, they do all the opening ceremony stuff and I was still one of the least disabled there, but I was also one of the most out of shape. Patric Ciervo: Yeah, that’s always gotten a good response. But, it’s been fun to do. I’ve done it throughout the year, a couple different cities and it’s always had a good reaction thank God because it’s just me there! Scott Johnson: That sounds amazing. Scott Johnson: I’m sure there are viewers that are interested in coming to check it out. That’s amazing and it sounds like you have a lot of fun with it, which is super important, right? Patric Ciervo: Yeah. It’s been awesome to do and everything. I’ve … I’m currently trying to write another show, kind of like a sequel to it and everything, just about my … basically like the backstory of going to Europe and being diagnosed with the type one and how I was lucky enough to do study abroad two years before I was diagnosed so the kind of differences in between those two trips. I’m excited. Scott Johnson: Yeah. I think one way that I enjoyed getting to know kind of a slice of your personality and your comedy is watching the guess my blood sugar videos that you’ve done. Particularly, the ones that I watched were ones that you did with Marcus Grimm. I’d love to hear more about that. Please tell me that you plan on making more of those. They are so fun. Patric Ciervo: I hope too. I think he hopes to too, yeah. They’ve been a lot of fun to do. I did one video before without him and he invited me to show this at a children’s hospital where he was speaking. I noticed there that he’s pretty animated and is good on camera and everything so I decided to get him involved for it. Yeah, it’s been fun to get together and do competitions and all that and just see the difference. Scott Johnson: Yeah. Tell folks that … Of course, I’ve watched it already, but we’ve got viewers watching that maybe haven’t seen it. Can you describe a little bit about what it’s all about, how it works, and some of the things that you’ve done in the videos? Patric Ciervo: Basically, what me and Marcus tried to do is with the first video is we had three competitions; it’s cardio competition, eating and then drinking. Before and after we tested our blood sugar and whoever had the worst blood sugar, which basically I think we set as lower than 80 or something like that. Scott Johnson: Yeah, you pick a target in the video. Patric Ciervo: Yeah, and the loser has to do a punishment. Scott Johnson: A punishment chosen by the winner, right? Scott Johnson: You guys get to have a little bit of fun with each other. You also, one of the things I really appreciated about the videos is that you’re having fun sort of educating people watching about all the different variables involved in diabetes and sort of the mindset or the things that we, as people living with diabetes, have to think about as we encounter all these different situations in our lives, right? Patric Ciervo: The first video I did without Marcus was basically me and another comedian did what me and Marcus did, competed to see who had the best blood sugar, but the joke was supposed to be hers just stayed normal and mine would skyrocket or go down and everything. I wanted people to see the drastic changes and the differences that someone could have because I don’t think … Marcus and I, we were off by like 40 something points each time. Scott Johnson: Yeah. It’s so interesting because you’re encountering the same situations and you’re doing the same things and it’s a great, I think, a great example of what our life with diabetes is like. Patric Ciervo: I remember before, we do a food competition eating, and we had hoagies. He was saying before, he said, “I usually eat low carb. You’re going to win this. I know it,” and everything, and I did. Yeah. I had the hot sauce thing in the back of my mind for the punishment. Scott Johnson: Your punishment was to make Marcus drink a shot of hot sauce, which he said he is not a hot sauce guy. Patric Ciervo: Yeah. I learned before he hates hot sauce. Scott Johnson: He took it down like a champ, for sure. Scott Johnson: I also noticed in the exercise one where you guys ran a mile, that you had on … you were sporting a diabetes training camp shirt. Scott Johnson: Am I safe to assume you have attended diabetes training camp? I’d love to hear more. Patric Ciervo: I’ve loved it each time. It’s basically … You’re in a room full of 30 diabetics, and staff are diabetics, and the five members that aren’t diabetics really understand what you’re going through and super supportive. It’s been great. Scott Johnson: Yeah. It’s … We’ve talked a little bit about diabetes training camp before on the episode where we had Molly on and we’ll link to that in the show so you can check that out too, folks that are interested. I’ve never had the pleasure of joining a camp session, but I’ll get there one of these days. Patric Ciervo: Yeah. It’s definitely worth it. I tell everyone like … I’ve explained the camp to people that don’t have diabetes and I feel like they could benefit from it just because it’s just a good week to reflect, and just kind of refresh yourself, and try to come out being better. It’s been awesome each time. Scott Johnson: Yeah. That’s great. Did you feel … I think one of the things that is stuck in my mind when I think about attending a camp like that is, okay, I’m going to throw myself into a room full of these uber-athletes and I’ll just be left in the dust. Patric Ciervo: Right, yeah. You know, I was thinking that too, but I wasn’t too worried about. It was definitely on my mind, but I was kind of thinking like that too. It wasn’t that at all. People are just starting to ride a bike or something like that, or just want to run for the first time, to people training for Iron Mans. Everyone is super supportive of everyone’s victories and accomplishments. Scott Johnson: That’s great. It sounds like just a real big mix of a variety of different, excuse me, of different levels of athletic ability and it’s really all about supporting each other and finding ways to win. Patric Ciervo: Yeah, basically. People that, I think … You know, I’m not athletic at all, but I was like one of the younger ones so they probably thought I was a lot more in shape than I was. I think it was good when they saw that I was also dying climbing up the bike hills and everything. Scott Johnson: Yeah, that’s funny. That’s funny. Well, we’ll put a link into the show notes again so that people can get more information about diabetes training camp. They’ve got a couple of events each year that are very much well worth checking out. Scott Johnson: Well, Patric, we’ve covered a lot in today’s interview. Anything else that comes to mind that I haven’t asked you about yet or that you want to talk about? Scott Johnson: Yeah, we’ve covered a lot of ground. I’ve had a lot of fun and really appreciate you coming on. I’ll put as I mentioned before, information about where people can find you on the screen and in the show notes, but maybe just let people know where’s the best place to get a hold of you or connect with you? Patric Ciervo: My Twitter account, which is @ppciervo, Facebook, Patrick Writes Sketches. Then, I have an Instagram where I basically put all my Twitter jokes just to annoy people on different platforms. Scott Johnson: I love it. That’s great. Well, we’ll put all that stuff on the screen so that people can connect with you. Thank you, again, for coming on the show and sharing so much of yourself with the world. Patric Ciervo: Yeah, that’s for having me. This was fun. Scott Johnson: Yeah, my pleasure, my pleasure. Alright, there you have it. I hope you also enjoyed getting to know Patric. You can find out more about him and his upcoming shows on his website, which we put in the comments. As always, please reach out if you’d like more information on anything we covered. As a special thanks to all of you watching, I have two special mySugr tote bags with some goodies inside like a pop socket and a few stickers that I want to give away. Scott Johnson: To enter, leave a comment below. Let me and Patric know if you enjoyed today’s episode and before next week’s show, I’ll randomly pick two lucky winners and announce them during the start of next week’s broadcast. Once again, today’s episode is sponsored by the mySugr Bundle. Get unlimited strips, automatic supply refills, personalized support, and more, all for just $49 every month. Learn more at mySugr.com/facebooklive. Scott Johnson: Be sure to tune in next week for an inspiring episode with Kelly from Generation Fit who talks with us about the importance of strength training and will actually demonstrate just how easy it can be. You won’t want to miss it. Thanks so much for joining today. Please like this video, share it with your friends, have another amazing day, and a great start to the new year, and we’ll see you next week.